Who is Kate Brown, the Oregon governor who says she'll refuse to send troops to the border? In his latest crackdown on immigration, President Donald Trump announced on April 4th that he will deploy troops to the U.S. border with Mexico to oversee the construction of the border wall. But some states are already defying Trump’s wishes. 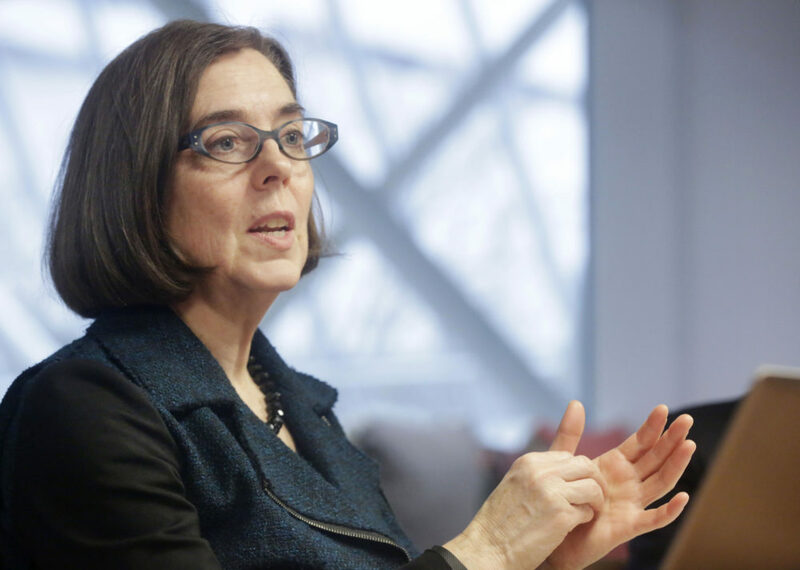 Oregon Governor Kate Brown has already refused to send troops from her state to the border. Here’s what you need to know about Brown. Brown has made history in Oregon’s government. Before she was governor, Brown was Oregon’s first female State Senate Majority Leader. She held the position from 2004 until 2009, and during her tenure, she helped pass Family and Medical Leave and the Oregon Equality Act and Family Fairness Act, two bills supporting LGBT rights. After her time in the state senate, Brown served as Oregon’s Secretary of State from 2009 to 2015. Brown was elected governor in 2016. In addition to being one of only a few female governors, she is also openly bisexual, making her the first LGBTQ governor in the country. And now, she’s defying Trump. Brown has a track record of passing progressive policies that directly contradict Trump’s stated agenda. Since Trump’s election, Brown’s government has granted all Oregonians the constitutional right to an abortion and doubled down on Oregon’s position as a sanctuary state. She also helped pass a law making it easier for transgender people to keep changes to their birth certificates private. So it’s not surprising to see Brown rejecting Trump’s latest declaration. We admire Brown’s commitment to civil rights, and we hope to see her continue the fight for equality in the future.